Meet David Sheffield, my host for the Seattle leg of my tour around the world. 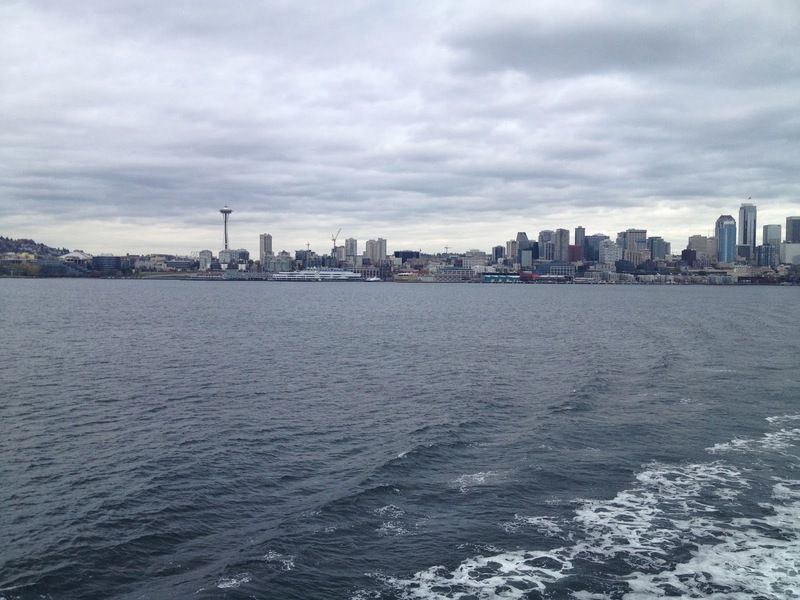 I stayed with David, his wife Molly and their three young children in Fremont, which is a neighbourhood just North of Downtown Seattle. They live in a townhouse with spectacular views across Lake Washington. 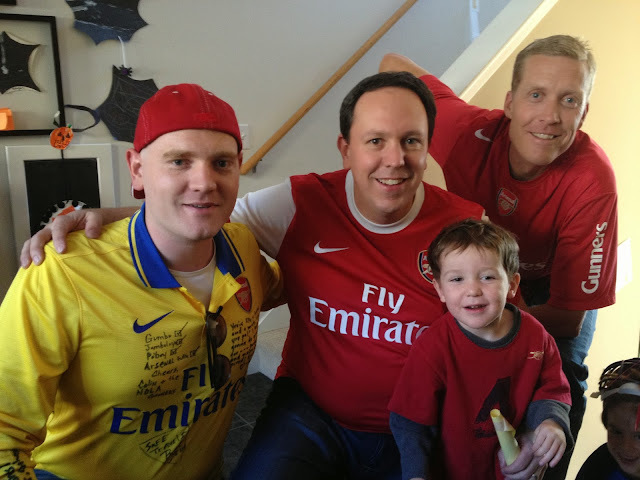 Once again, the generosity demonstrated by these members of the Gooner Family was through the roof. David did a good job of giving me the lay of the land and showed me around some of the sights during this whistle-stop tour of the Pacific Northwest. GOTR With David, his youngest son and his very tall friend who lives in a home-made shack in the mountains (no joke). Arsène Wenger. Fever Pitch. Thierry Henry. Cesc Fàbergas. Arsenal’s beautiful, open style of play. London. 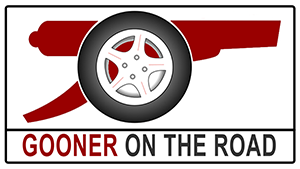 Arseblog. During 2006 my wife and I traveled to Mexico during the World Cup. We were taken by how passionate the Mexican fans were for their national team. I followed that World Cup through the end and told my wife that I wanted to pick a team and follow for a season and see if it would take. Of course, I picked the top league: the English Premiership. Bill Simmons from ESPN did a similar search for a team, at the same time, but we came up with much, much different results. I came across Nick Hornby’s Fever Pitch, read it in less than a week and became enraptured on Arsenal. Plus, Arsenal are a London team and I just love that city. During that first season, I noticed that Arsène Wenger’s approach to the game was much different than the rest of the EPL, and I found Arsenal’s style more appealing. After a couple of months, I was hooked and have been a Gooner ever since. Thierry Henry is my favorite Arsenal player. He created and finished plays like no other player since I’ve followed the club. I began following Arsenal after the World Cup of 2006, where I was properly introduced to Titi. He was very fluid with the ball and seemed to score and pass and create with ease. The game for Thierry Henry seemed to come easy to him and he was a pleasure to watch with the ball at his foot. Mesut Özil. I read in Arseblog back in 2009-10 that Wenger was tracking him and he was an emerging player with Germany during the 2010 World Cup. I began to watch him with anticipation of a move to the Emirates—that happened 3 years later. I think he has world class ball handling skills and is on a creative level with few peers. February 2012. The (first) 5-2 win over Spurs. We were in the middle of a difficult stretch and the game didn’t start out very favorable for the Arsenal, but the team responded and blasted our rivals on to gain a full 3 points and fueled the team to maintaining our Champions League standing for the following season. Q.Where do you watch Arsenal in Seattle? In the comfort of my living room or at the George & Dragon Pub in the Fremont neighborhood of Seattle. The pub is awesome and there is always a festive atmosphere, but since we have 3 small children, it is easier to manage at home. We were in London a few years ago, but I wasn’t able to get tickets to a match; so, I had to settle for visiting the Arsenal museum at the Emirates. Emirates. I began supporting Arsenal during the inaugural season at Emirates. Having read some of the history of Highbury, I wish I could go back in time and watch a match to truly be able to compare. But, on this basis, I can only really say the Emirates. I’m going to agree with Simon (14:1) at the George & Dragon. This is Arsenal’s year to win the EPL Title. Aaron Ramsey is having a career year. It’s great to see after he broke his leg and struggled a bit to regain his form. He’s more than regaining form. He is truly progressing. Thanks again to David! Next stop, 'Portlandia'. My time in the 'Rainy City' has come to an end. One of the first things you notice about Seattle is that it's on a pretty steep hill along the coast of the Puget Sound body of water. There doesn't appear to be a lot of fat people in this place, and with those hills in mind you can understand why. Normally, when you see cities on TV shows and movies, you don't really get any sense of perspective, you don't think about the vertical dimensions that make up the landform where a city stands. So when you see it in person for the first time and realise you need to get from 'down here' to 'up there', it makes getting places that little bit more challenging. Photo taken from my paddle-board. Honest. Seattle's a great place to come for arts and culture, and the sports scene here is very respectable too; the city is represented by the Seahawks NFL team, the Mariners MLB team and of course the Sounders MLS football team, currently captained by Tottenham reject Clint Dempsey. 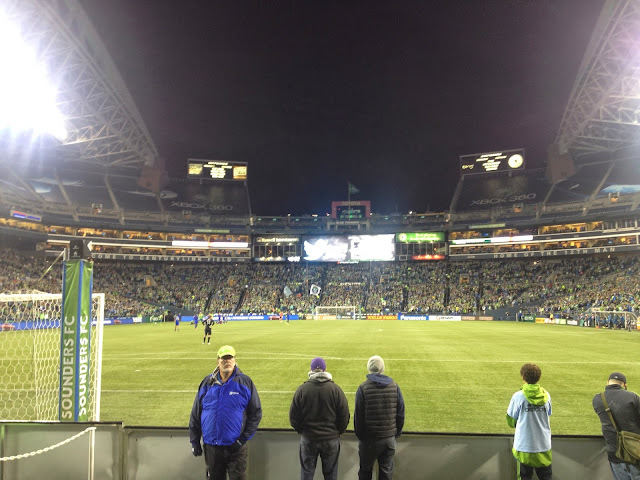 I managed to score a free box ticket to the impressive CenturyLink field to watch the Sounders beat Stan Kroenke's Colorado Rapids and progress to the next round of the MLS Playoffs. The game itself, when compared to watching the mighty Arsenal, was less entertaining than watching algae grow, but thankfully the atmosphere made up for it. This is the 5th MLS stadium I have been to see this year and like all the other teams – with the exception of the NY Red Bulls – there is something innovative that could be taken back to Premier League football. The crowd interaction is great, you can see that the people responsible for this are creating an experience that incentivises the fans to get behind their team as the 'twelfth man', including national anthems, fireworks and songs to inspire chants. It's all very American, but it seems to do the trick. The thing is, when you don't have that level of atmosphere at your home stadium and the majority of your fans are sleeping at their seats, you never feel like you get that twelfth man advantage, and that's exactly what it's like for Arsenal. Chelsea knocked us out of the prestigious Capital One Cup, the third team to beat us at home this season (it's only November), and I think one contributing factor here is the complete lack of chanting and crowd interaction. We are unbeaten on the road and, not wanting to take anything away from the outstanding team performances we've had on this run, our away fans get behind the players in a way that our home fans don't. As a team on the bleeding edge of technology and setting standards across the globe, I think Arsenal Football Club is well-placed to introduce new ways of improving supporter participation at The Emirates and making the stadium a fortress that opposing teams fear to come to. The George & Dragon pub, owned by John (middle) who is a Gooner. The George & Dragon Pub is the spot to go to watch Arsenal in Seattle. The game on Tuesday was about 60% Gooners and 40% clueless Chelsea fans. This made it the least enjoyable atmosphere to date of all the pubs I've visited, but I'm sure that has something to do with the scoreline. We were outclassed, outpaced and out-everything-elsed and you could see the difference a billionaire sugar-daddy can make to the depth of a football squad. My next stop on the itinerary is Portland in Oregon, known to have the best beer in all of the US. Oh dear. Remember, you can donate to the Triple Negative Breast Cancer Foundation HERE, if you are enjoying reading the blog please spare what you can, and please, don't make the mistake of waiting for the 'next person' to do it.